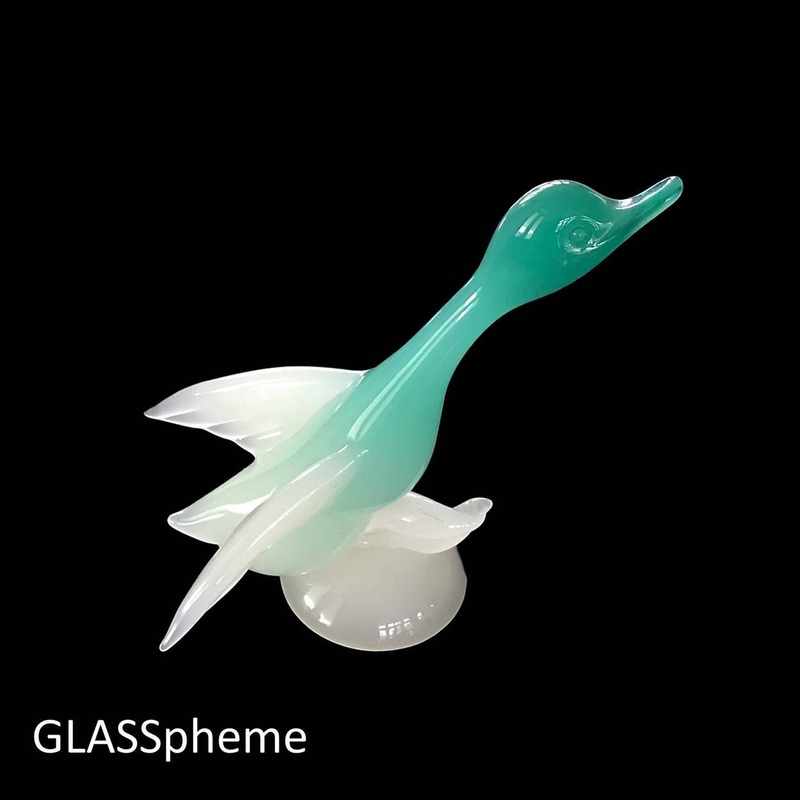 Archimede Seguso, more than any other Murano Maestro of the 20th Century, seemingly pushed the very properties of glass and achieved forms and textures/effects that had never been done before. This divine alabastro bird | duck | water fowl is a case in point. 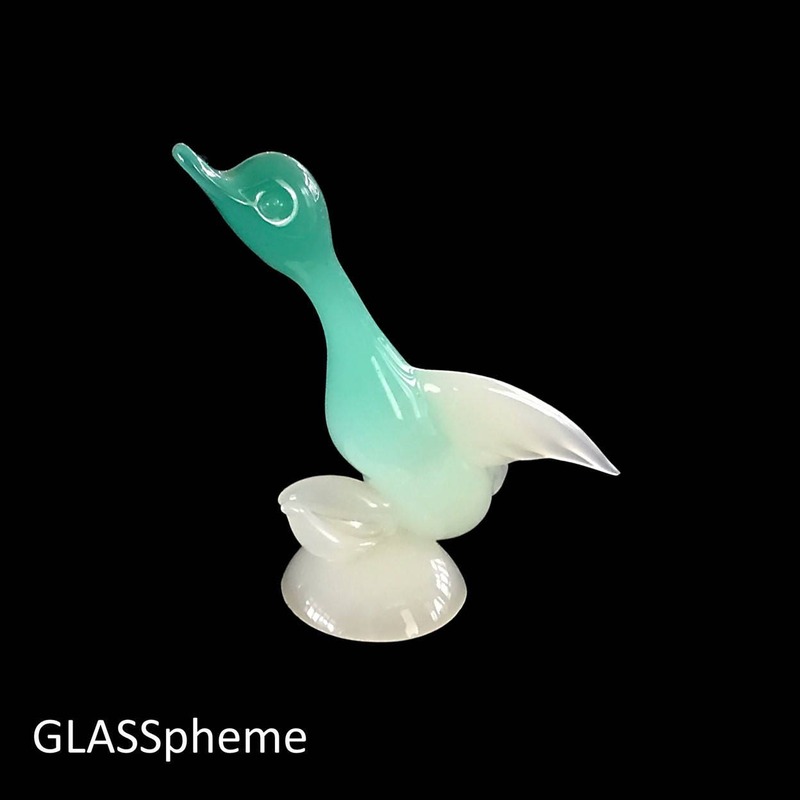 Notice the gradual change in color from the green alabastro glass to the white? That's the crazy serious artistry that few other of even the other Murano producers can do as flawlessly. 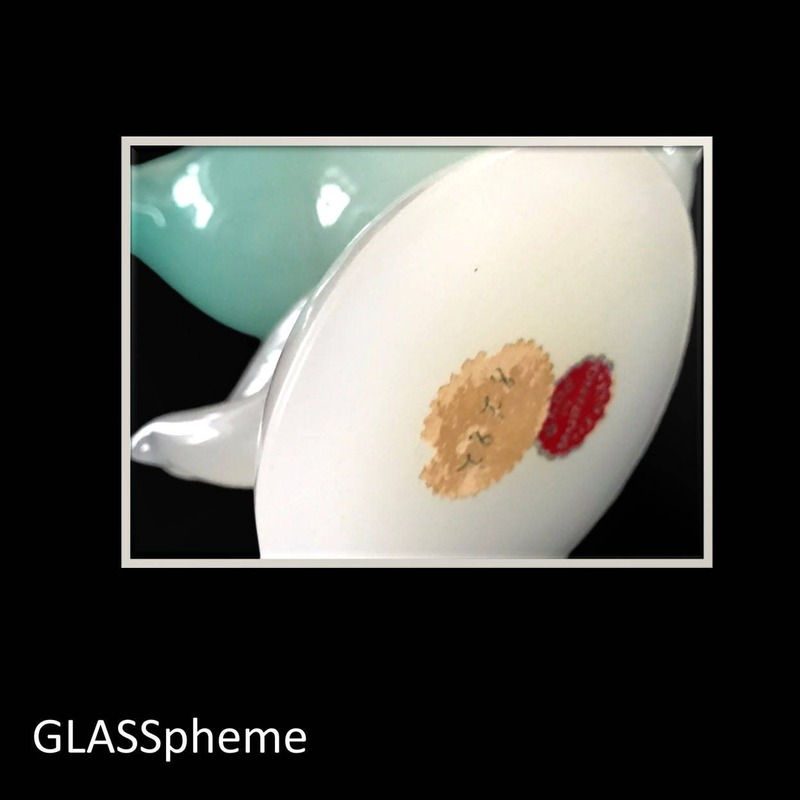 (The way color gradually spreads through the body of a piece of glass so that there isn't a clear line of demarcation between colors unless intended is one important way to determine whether a piece of glass is an authentic Murano and a Chinese fake.) The base has slight base wear and label remnants.